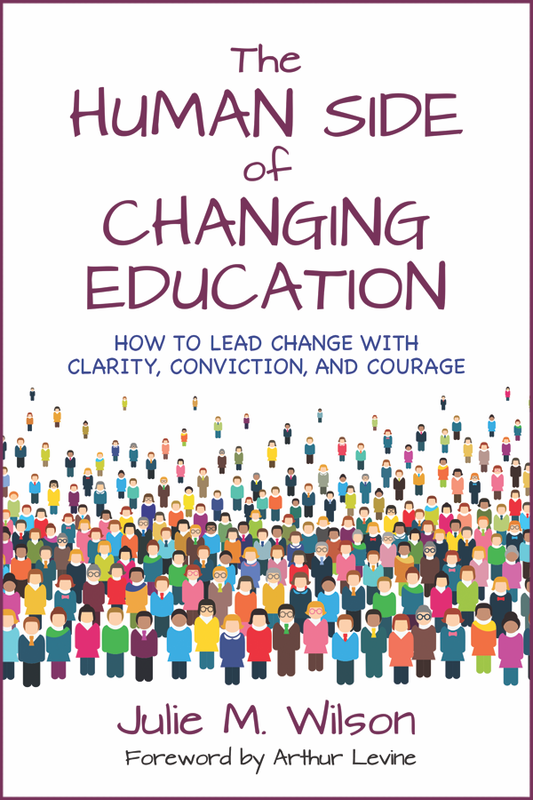 The purpose of this book is to equip education change leaders with a practical framework and human-centered tools and resources to lead meaningful, sustainable change. We are witnessing a rising tide of popular consensus that the traditional, century-old, model of education is no longer serving our children. Performance on standardized test scores is the floor of school performance, not the ceiling, and more and more schools are drafting strategic plans that state skills such as problem solving, collaboration, systems thinking and creativity must become an integral part of the school's DNA. In the last two to three years, the conversation has shifted from "We need to change from the factory model and here's why" to, "OK, we know that level of change is needed. But how do we change?" This book is for anyone who is designing, leading, or participating in this level of change; change that supports students in learning the skills, knowledge and habits of mind that will enable them to thrive in an unknowable future. 'The Human Side of Changing Education' is centered on the premise that when we ask schools to change, we are asking human beings to change and this requires special tools and a human-centered approach. We cannot change the heart of the system without enabling the hearts and minds of those who give their all every day to making schools work. The practical framework, human-centered tools and resources, and mini-case studies will help you navigate, and succeed upon, your own path of change. Join our newsletter and Grab your free 'Hero's Journey' Companion Guide! If you want more resources like this, be sure to join our list! Julie Margretta Wilson is a coach and advisor to school leaders, educational institutions, and foundations whose mission is to shape the future of K–12 education. She has over fifteen years’ experience building effective learning environments that unlock human potential and enable organizational culture to adapt and grow during times of change. She is the founder and executive director of Institute for the Future of Learning, a nonprofit organization dedicated to helping transform the 'one size does not fit all' model of education. The Institute works with a diverse range of clients including public schools, independent schools, public charter schools, and educational philanthropic organizations. Recent speaking engagements include TEDx, fuse, the Center for Transformational Leadership, and the Science of Teaching and Leadership Academy. Julie graduated from Harvard’s Graduate School of Education with a master’s degree in technology, innovation, and education, and a bachelor’s of arts in business administration and French from Queens University in Belfast, Northern Ireland. During her time as a staff member at Harvard, Julie was the recipient of the Harvard Hero award for outstanding contributions to the University. Connect with Julie via Twitter or via email.